Advertising agency M&C Saatchi, having been appointed by Britain Stronger In Europe in early May, have produced their first advertisement for the Remain campaign. It shows UKIP leader Nigel Farage and Conservative MP (and former Mayor of London) Boris Johnson, both key figures in the Leave campaign, sitting on a branch of a tree looking gormless whilst they sabotage themselves by sawing through their makeshift bench. I think the message in the poster is that those who want to leave the EU are creating problems for themselves and, by implication, for the nation. It isn’t one of the clearest pieces of communication from the Stronger In campaign. 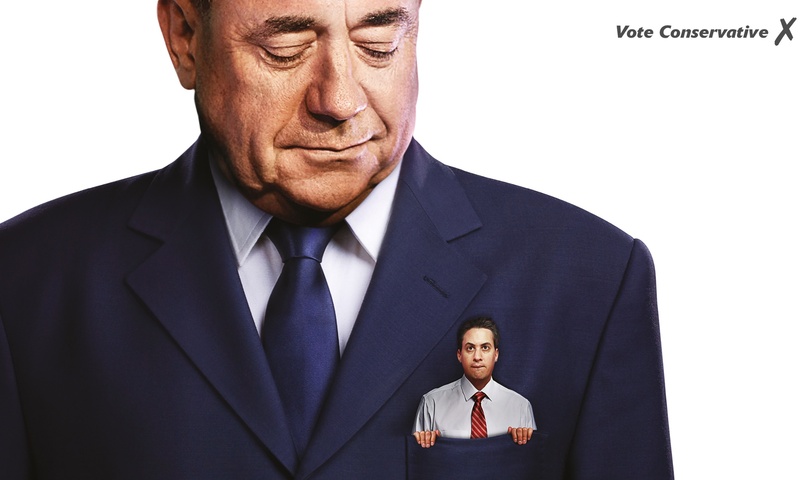 M&C Saatchi have obviously tried to replicate the effect of their big hit from the UK general election – Miliband in Salmond’s pocket – by going without a headline. Unfortunately, in this instance, I think a headline might well have helped give clarity to the intended message and deflect from any perception that this is an unfounded personal attack. The confusion comes from the fact that a viewer can’t tell whether the Leave leaders are deliberately putting themselves in jeopardy or are doing so unknowingly. It matters because the former implies malice and the latter implies ignorance and stupidity. And there’s no policy message to give those who see it a reason to believe that either of those two attacks is justified. When M&C Saatchi are on form, they can turn an election. If you believe the polls, Stronger In will be pushing their agency hard to improve on this first offering. where is this ad being used?